Roost Farms is home to a number of bee hives. After realizing that simply skimming a chapter on bee keeping wasn't really very helpful Farmer Chris went through a year-long honeybee apprenticeship with a local, organic bee keeper. 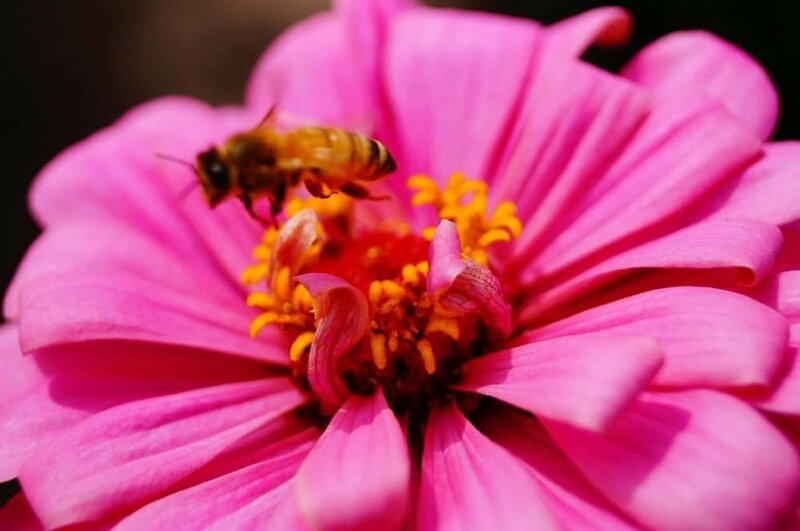 We're convinced that honey bees are amazing creatures and there is still a great deal to learn from them. 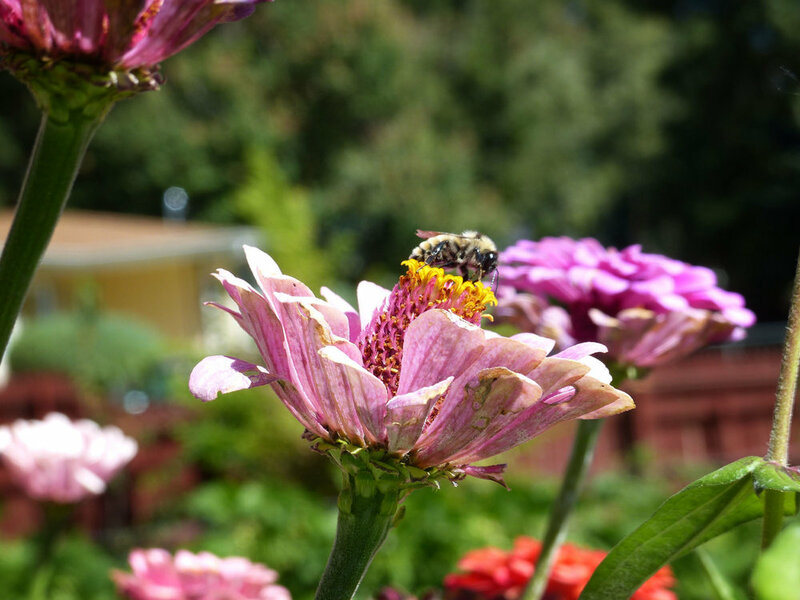 Our aim at Roost Farms is to organically care for our bee hives. We do not use any chemicals in our hive management. We only harvest honey when our bees are healthy and strong with adequate honey stores to make it through winter. Beginning in 2017 we are transitioning to using frames without foundation. We believe this step is necessary because wax coated plastic foundation (a universal part of most bee keeping) is unavoidably contaminated with harmful chemicals. We're also convinced that wax coated plastic foundation encourages a larger honeycomb than nature intended. This larger honeycomb in turn fosters a larger honeybee. These fractionally larger bees experience an increased number of parasitic mites which makes for a less healthy honey bee population. Now back to the fun honey bee stuff. We harvest honey from our strong, healthy hives in the fall. Our finished honey is never heated. Our harvested honey is completely organic and raw and is offered for sale when available here at Roost Farms. Harvested honey is not included with the harvest share CSA.